Could there be a more chilling word? Could it be any more horrible than to have a loved one killed, brutally and heartlessly, without obvious reason or motive? When Liz Peterson's elderly mother is found viciously beaten to death in her home, Liz and her husband, Charles, along with their grown son, John, and teenage daughter, Sarah, are horrified beyond words. Their previously predictable, respectable lives seem to have vanished without a trace, as they struggle to make sense of a senseless act. And then a second blow-more devastating, if possible, than the first-rocks them to their core. John is arrested for his grandmother's murder. As what's left of the Peterson family begins to crumble under the weight of loss and accusation, the Petersons' longstanding Christian faith is put to the test in a way they could never have imagined, and unconditional love is stretched to its limits. Will family ties and relationships withstand such a crushing blow, or will evil succeed in dividing and conquering this once close and inseparable family? My Review: If I had to describe this book in one word, it would be powerful! 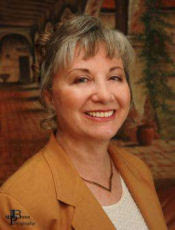 The author takes you on the roller coaster ride of the characters' emotions. It is almost like you are a fly on the wall, witness things you shouldn't be, the most private struggles of a family. My heart literally ached for these fictional characters at some points. I absolutely recommend this wonderful story of a family, tragedy, and the unconditional love of our Lord. 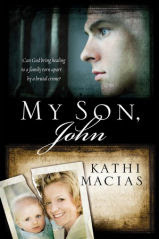 Thank you so much, Vanessa, for your lovely review of my newest book, My Son John. Blessings to you and your readers!